Meet Henry Fleming, a youth who dreams of glory as a Union Army soldier during the Civil War. In the middle of his first battle, Henry runs from the fighting in terror. He begins to grow up when he has to face his fellow soldiers, some of whom are wounded and dying. Now, Henry knows that war is not as glorious as he thought. An another major battle begins, will Henry flee or find the courage to stay and fight? First published in 1895, this small masterpiece set the pattern for the treatment of war in modern fiction. The novel is told through the eyes of Henry Fleming, a young soldier caught up in an unnamed Civil War battle who is motivated not by the unselfish heroism of conventional war stories, but by fear, cowardice, and finally, egotism. However, in his struggle to find reality amid the nightmarish chaos of war, the young soldier also discovers courage, humility, and perhaps, wisdom. 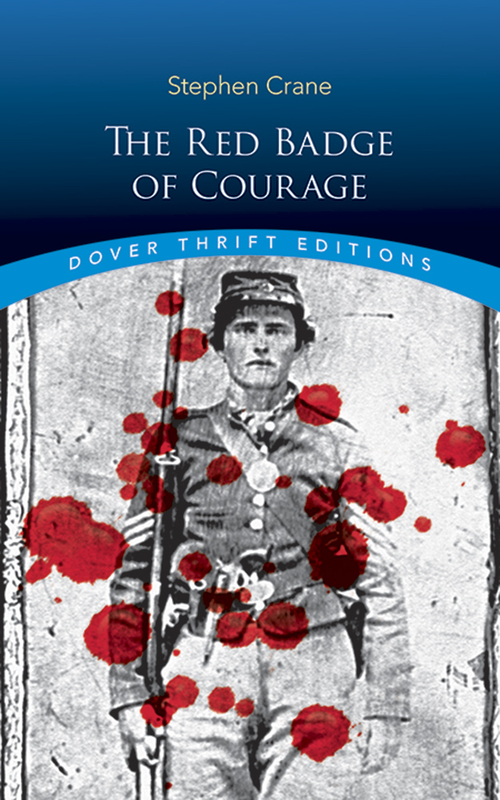 Although Crane had never been in battle before writing "The Red Badge of Courage," the book was widely praised by experienced soldiers for its uncanny re-creation of the sights, sounds, and sense of actual combat. Its publication brought Crane immediate international fame and established him as a major American writer. Today, nearly a century later, the book ranks as an enduring landmark of American fiction.